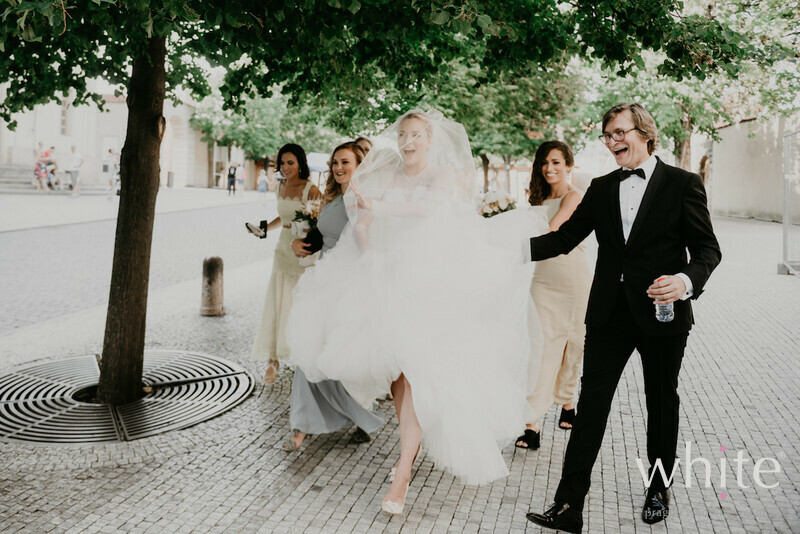 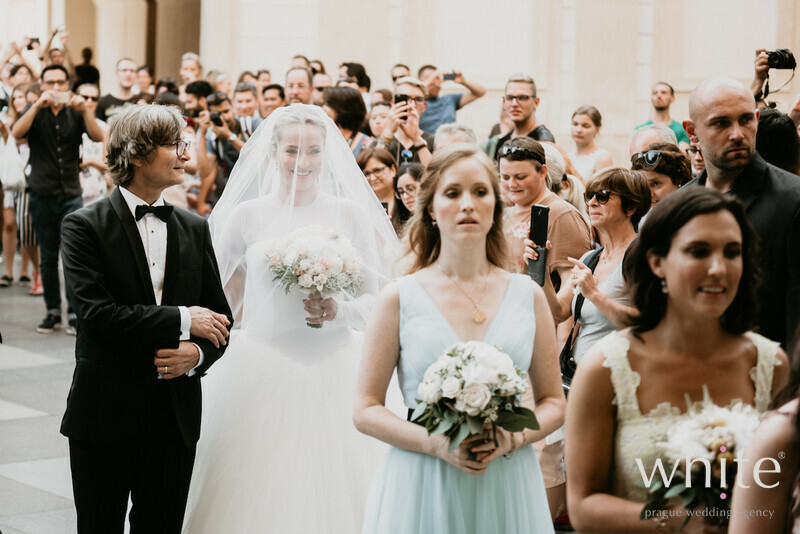 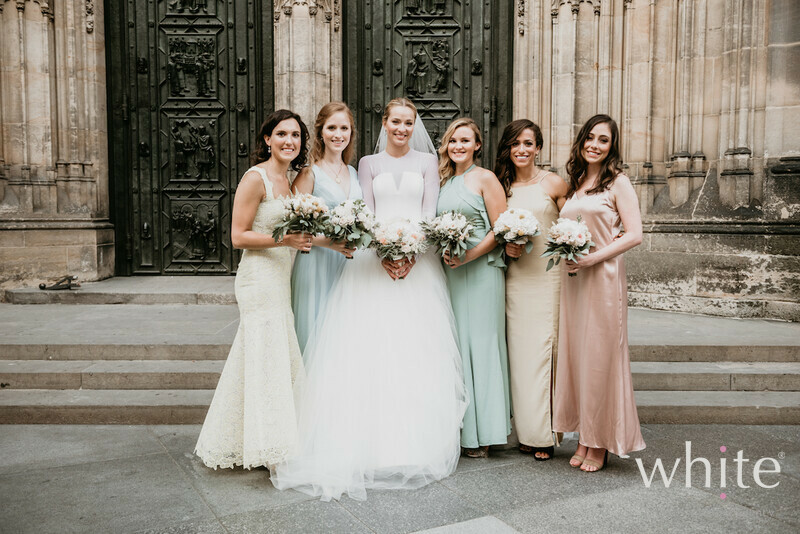 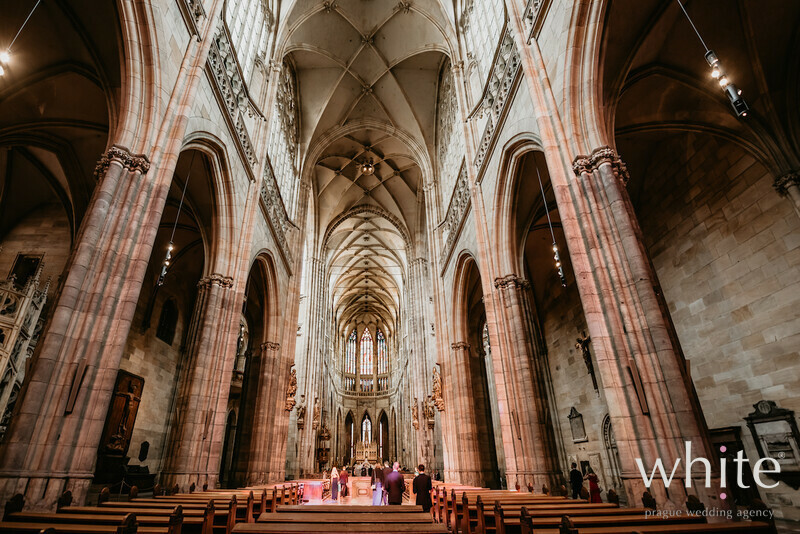 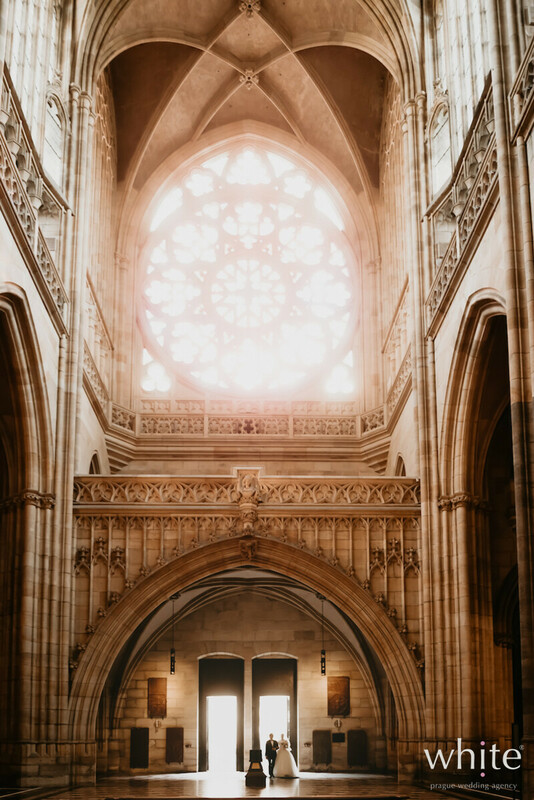 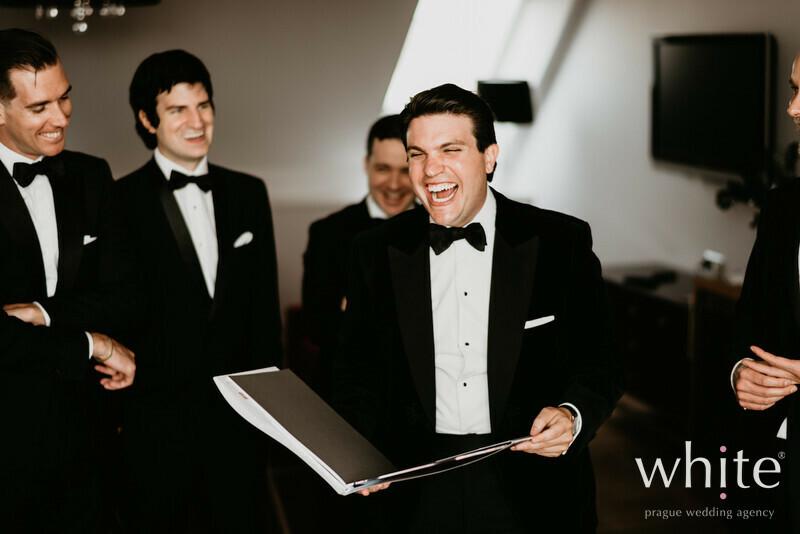 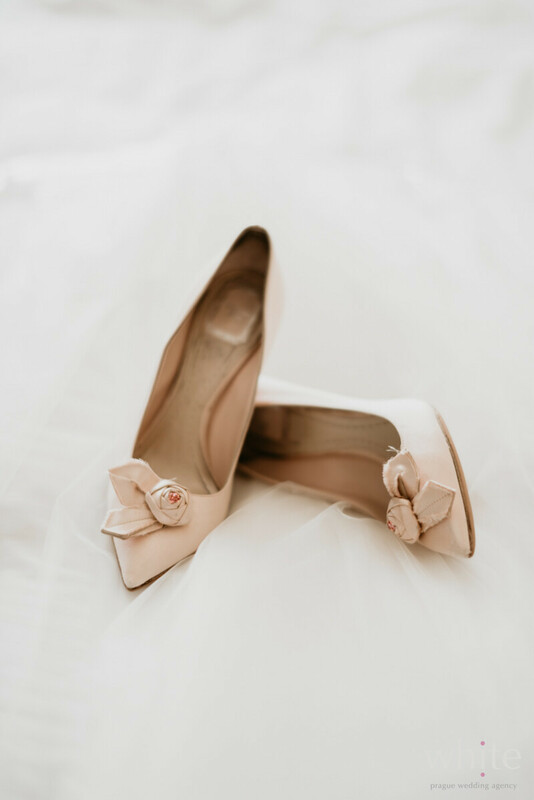 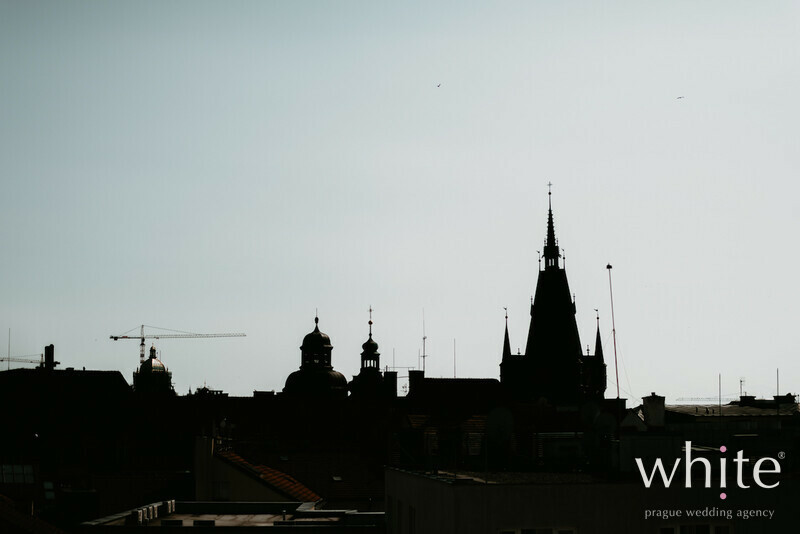 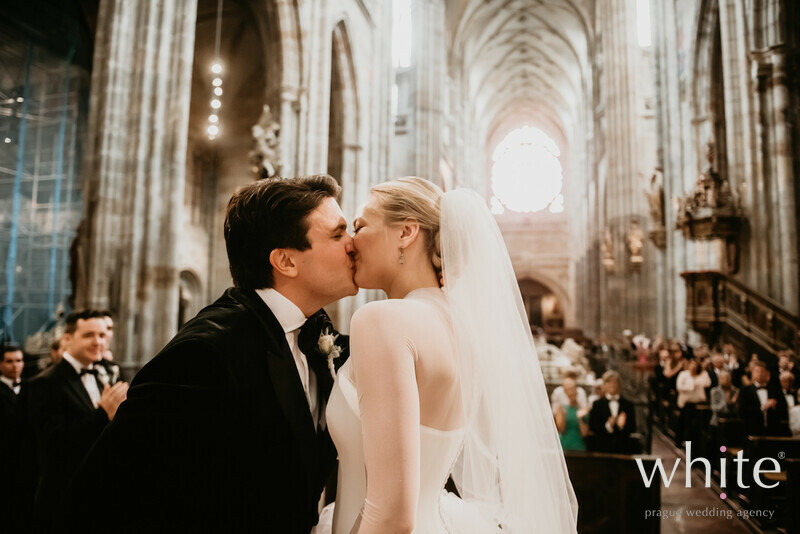 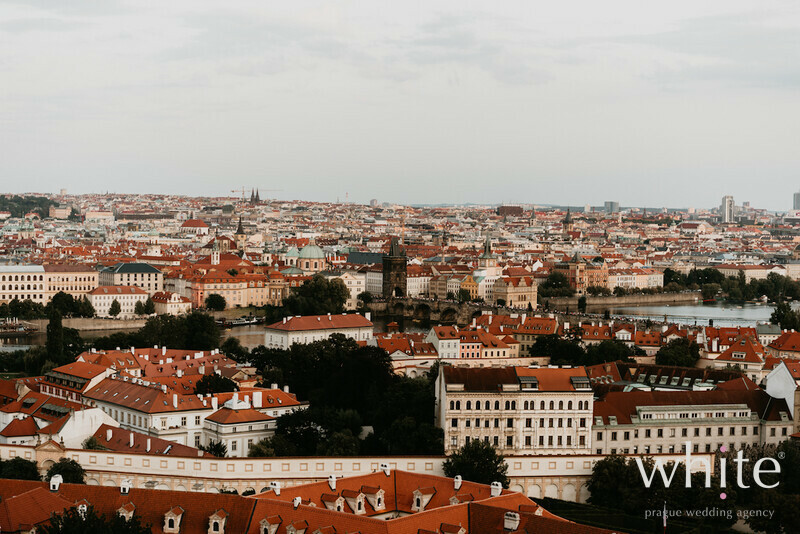 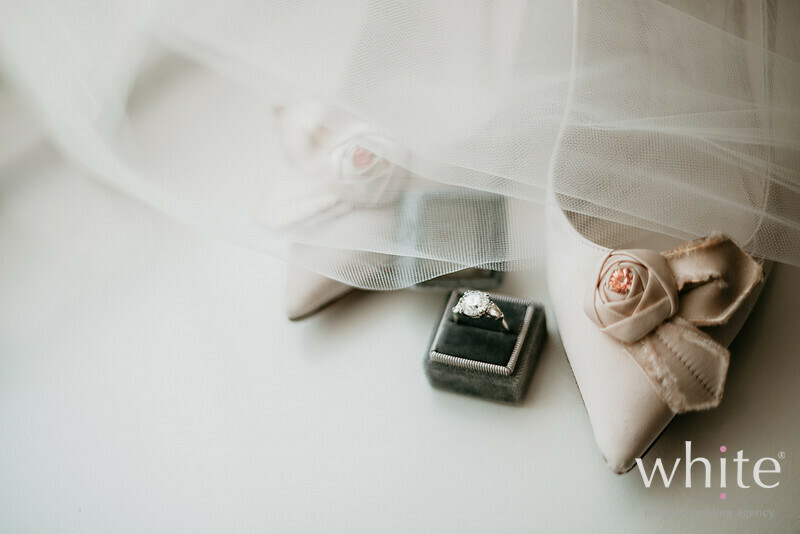 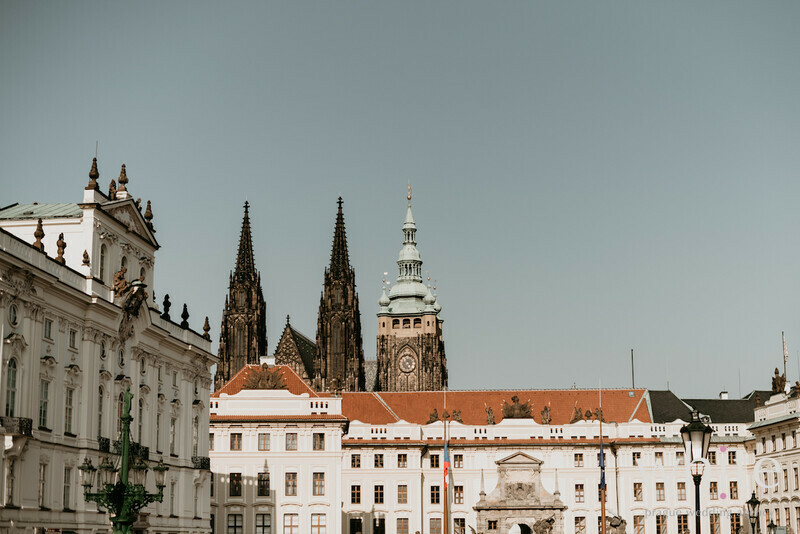 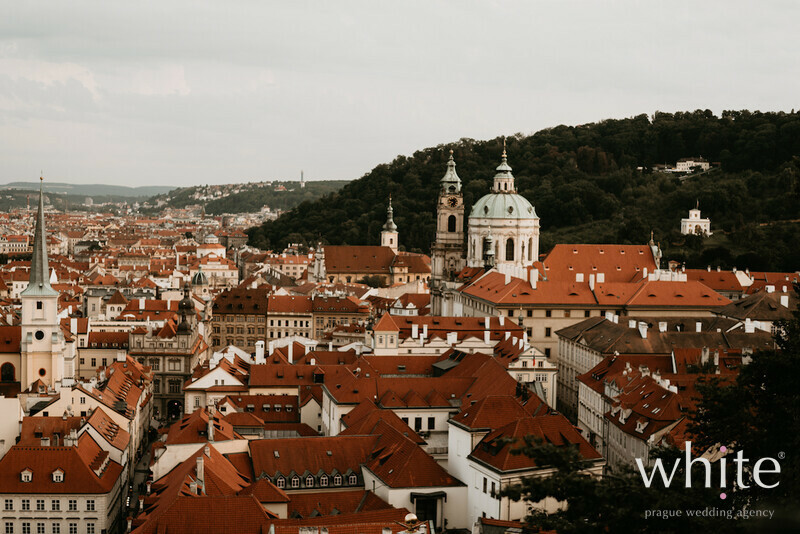 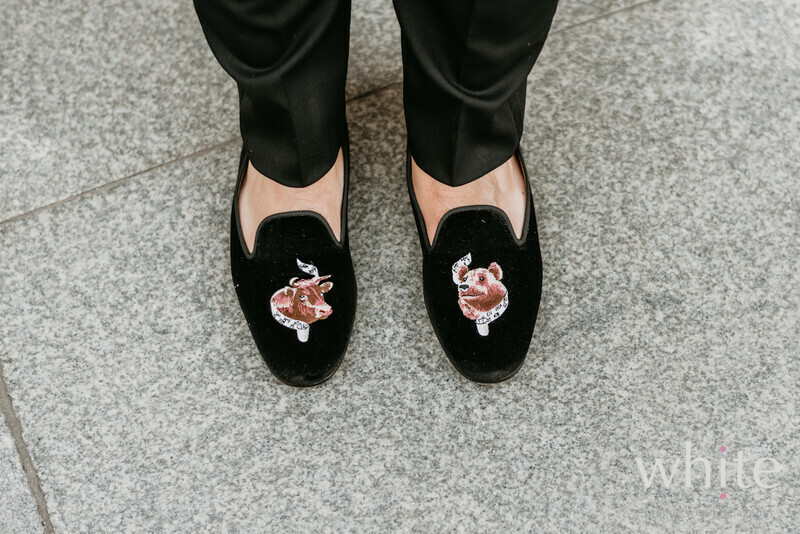 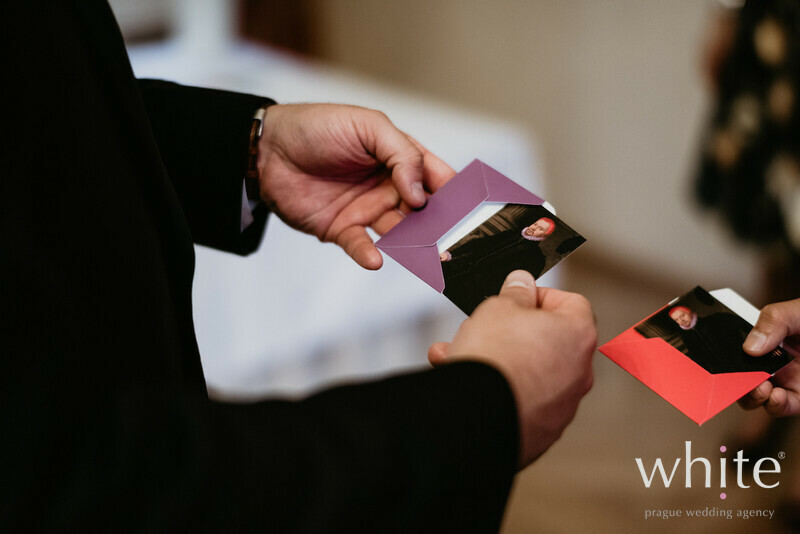 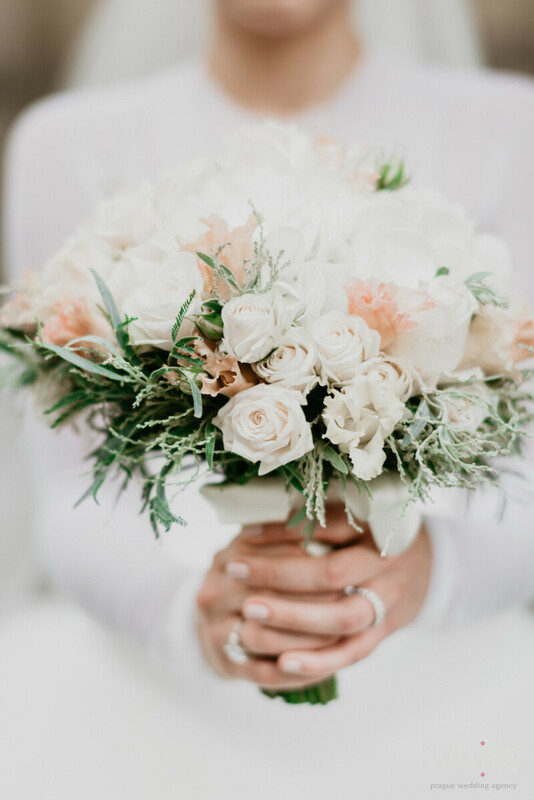 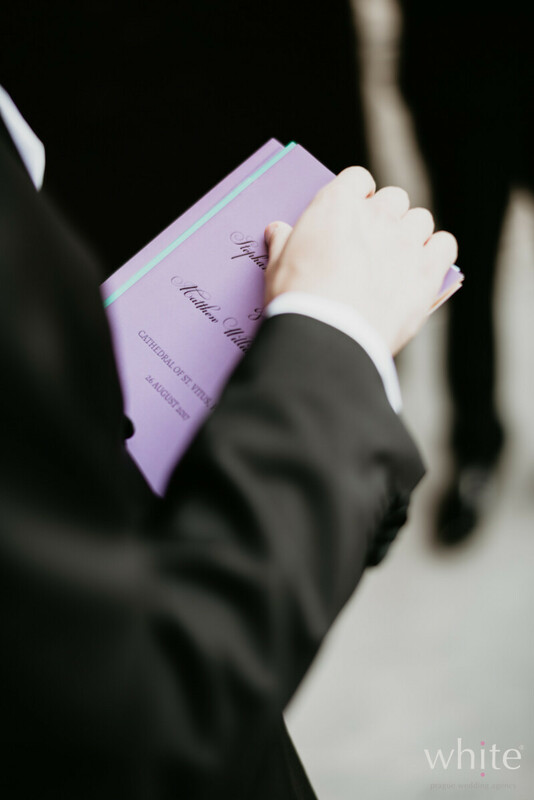 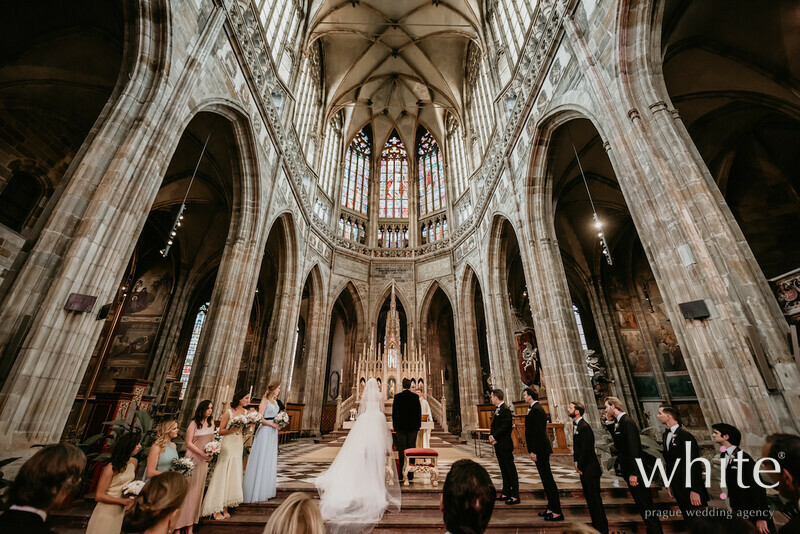 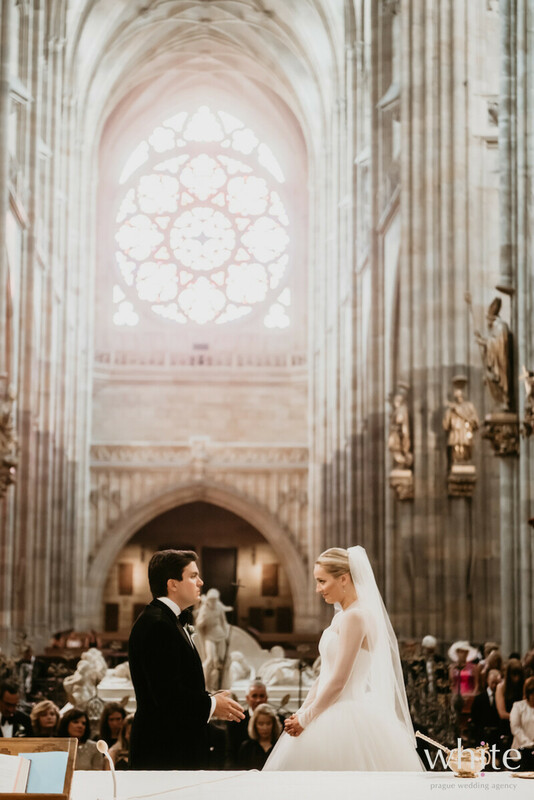 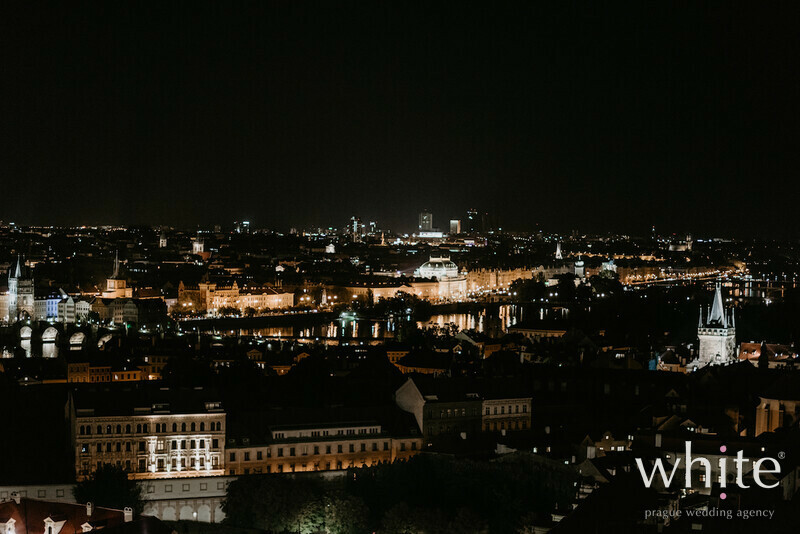 Organizing a wedding at the St. Vitus Cathedral at the Prague Castle was a dream come true for us and one of the highlights in our wedding planners careers. 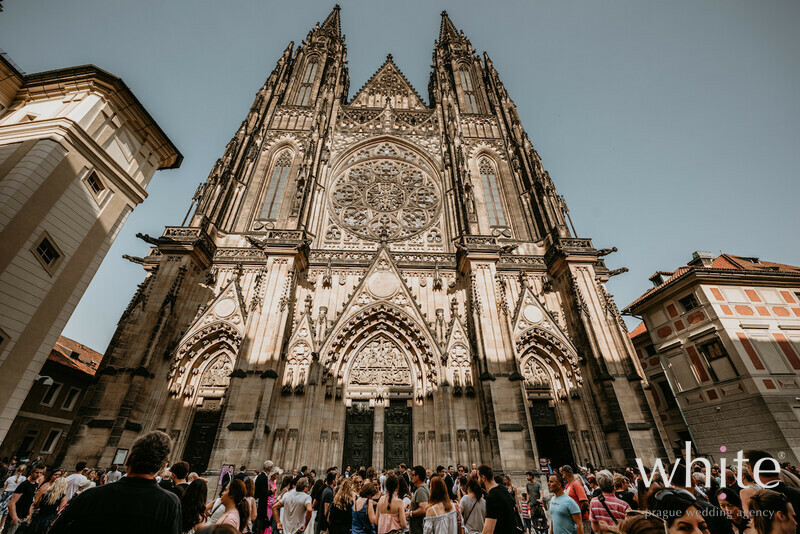 St. Vitus Cathedral is a symbol to the Czech people and it's power and beauty is overwhelming. 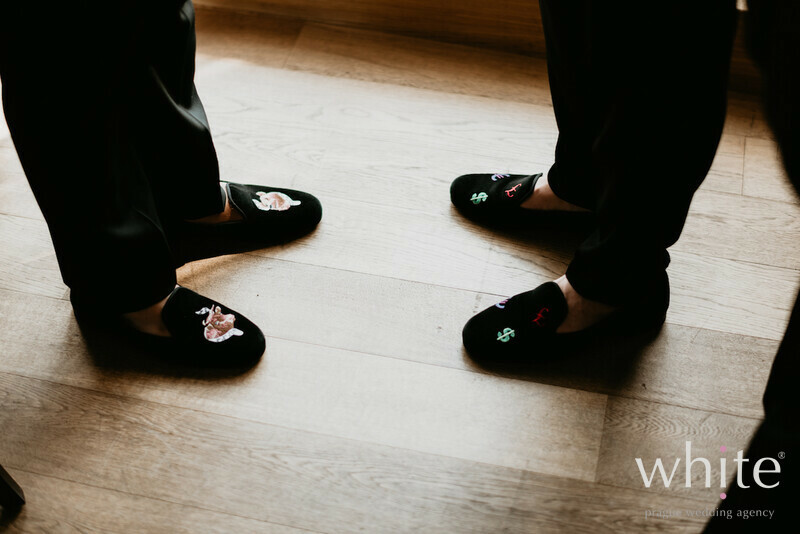 We were extremely grateful for the opportunity to be able to organize a wedding for our clients there. 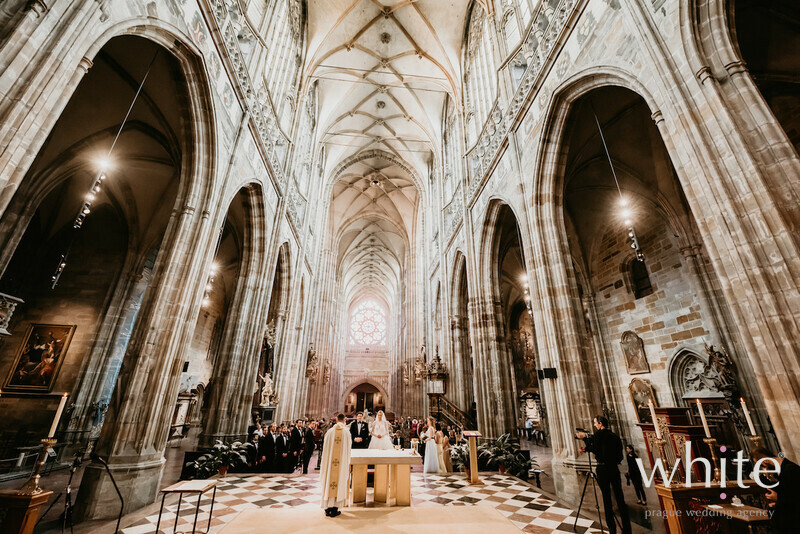 It's not easy to get a permission to have a wedding there and the organization is truly challenging not only due to the hundreds of tourists surrounding the Cathedral at all times. 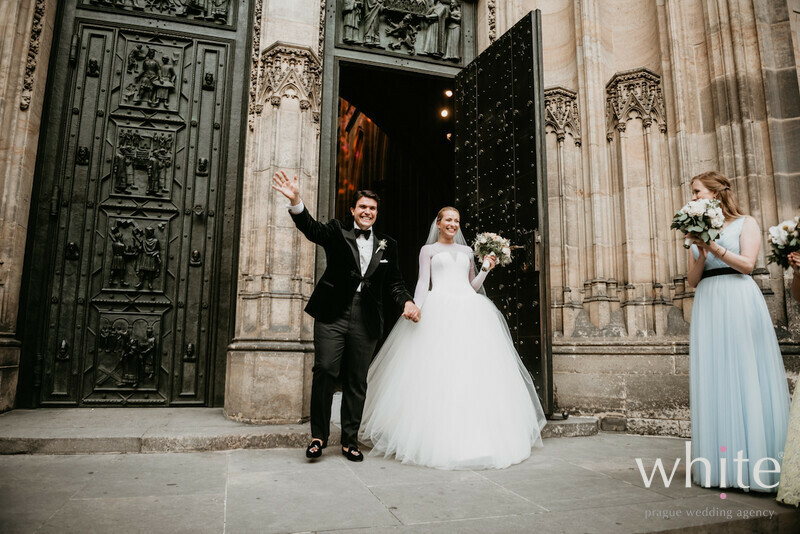 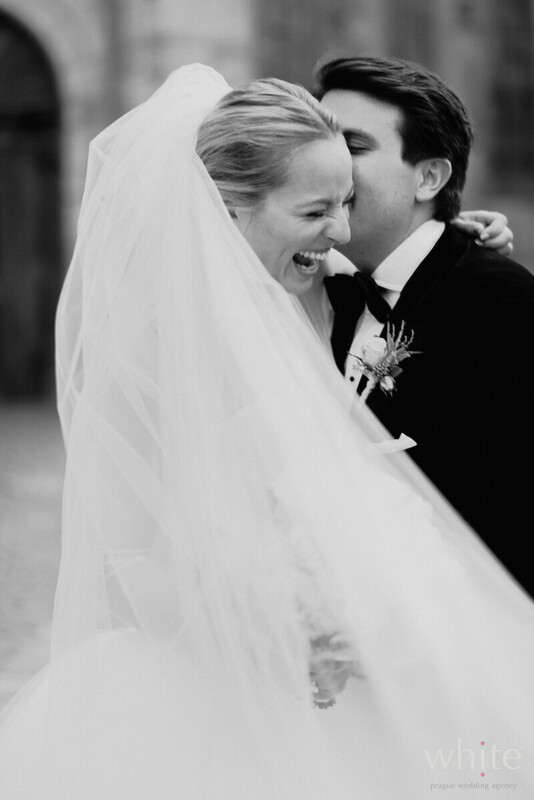 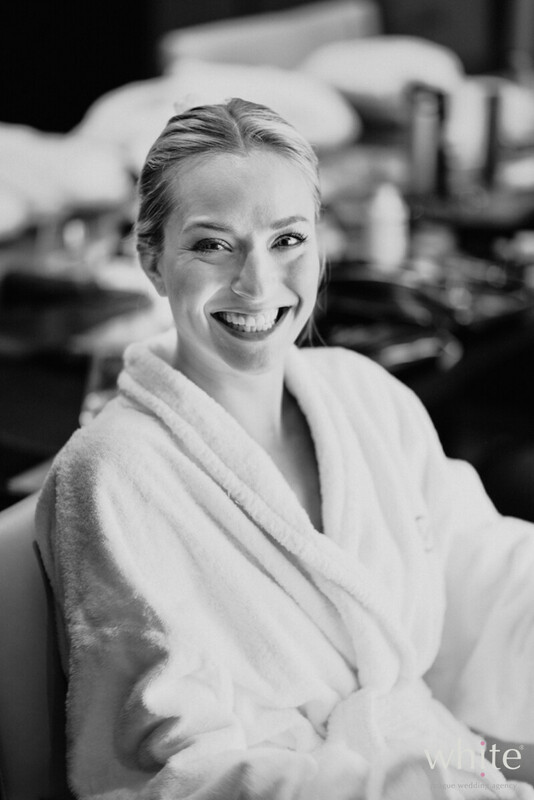 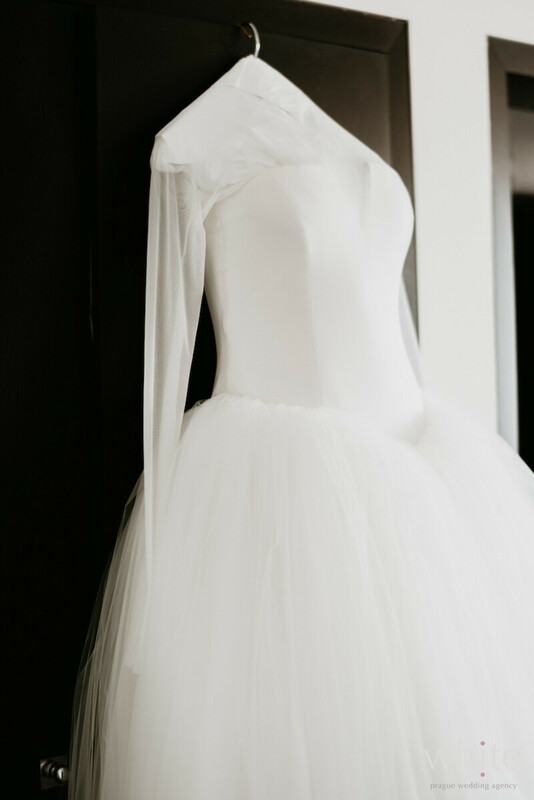 The stunning Bride Stephanie, wearing Vera Wang wedding gown, is a grandniece of one of the main architects of the Cathedral and a daughter of charming Czech famous jazzman and guitarist Rudy Linka. 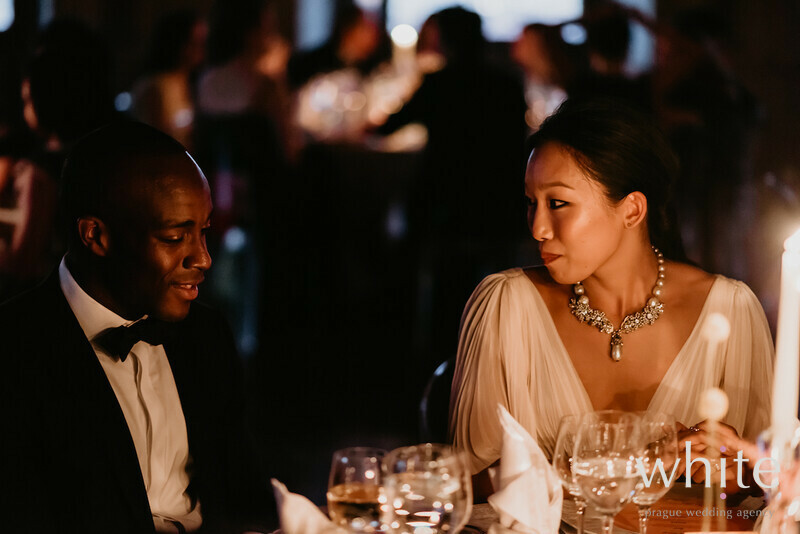 Stephanie and her husband Matthew live in New York and that is where most of the nearly 100 guests came from. 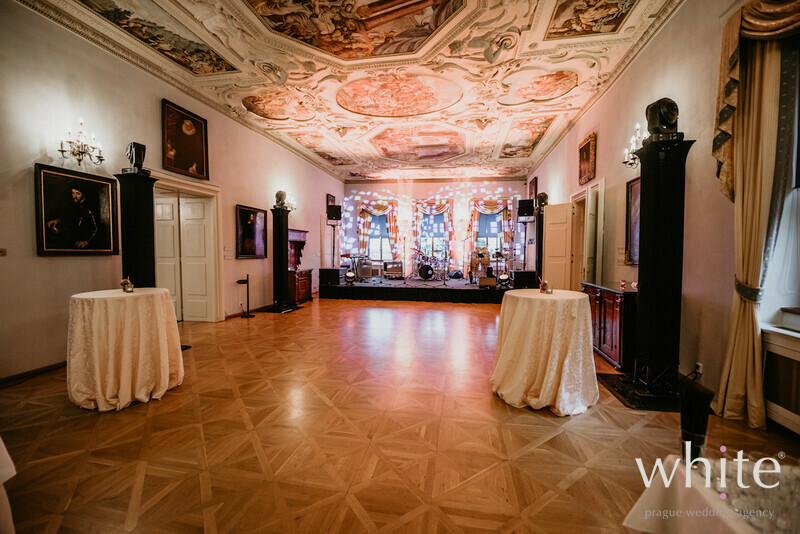 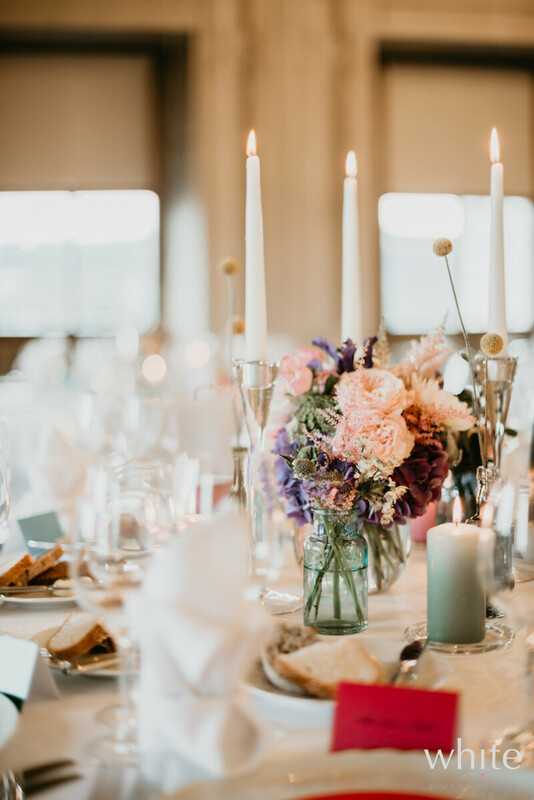 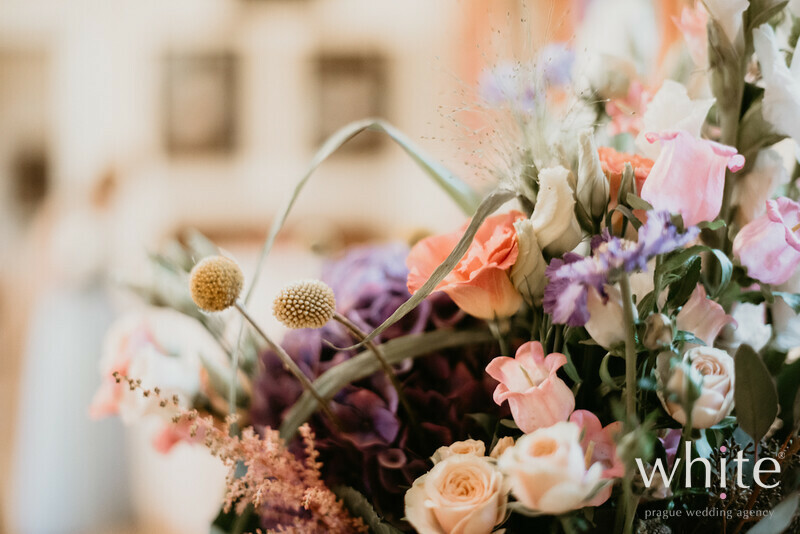 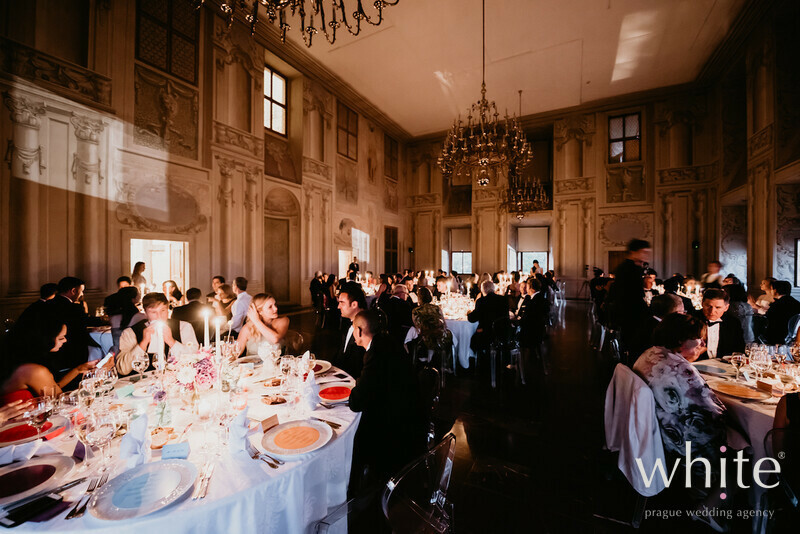 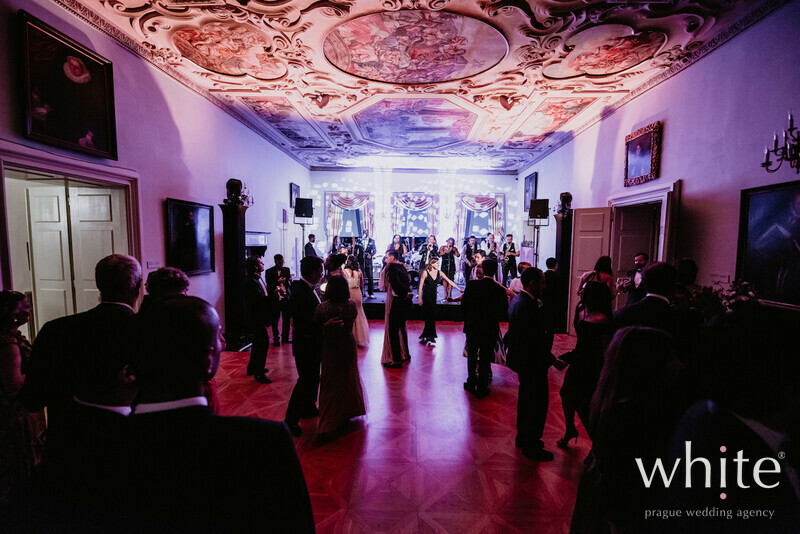 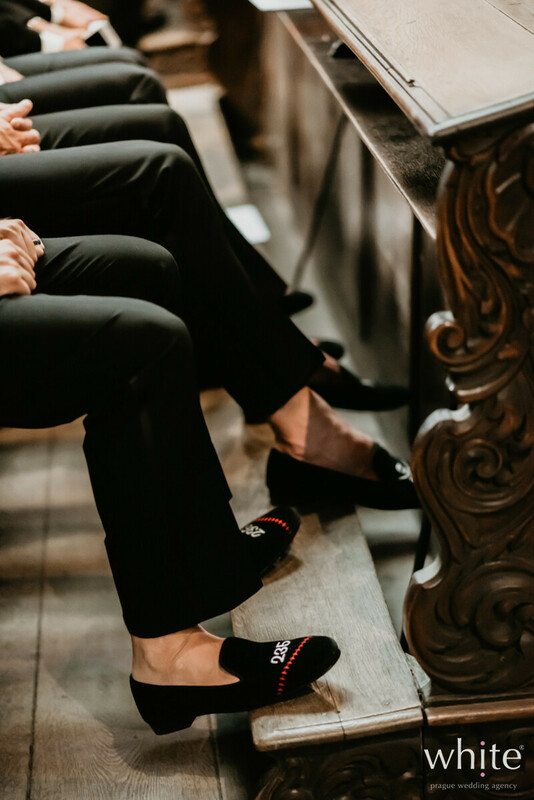 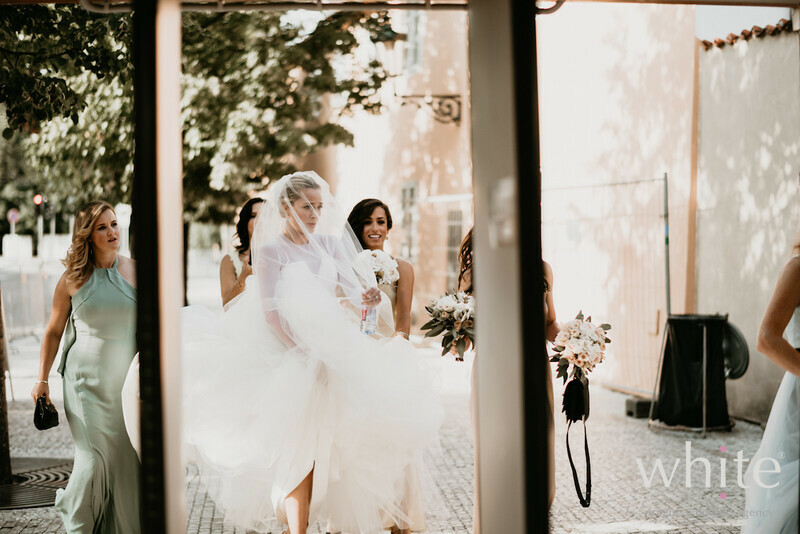 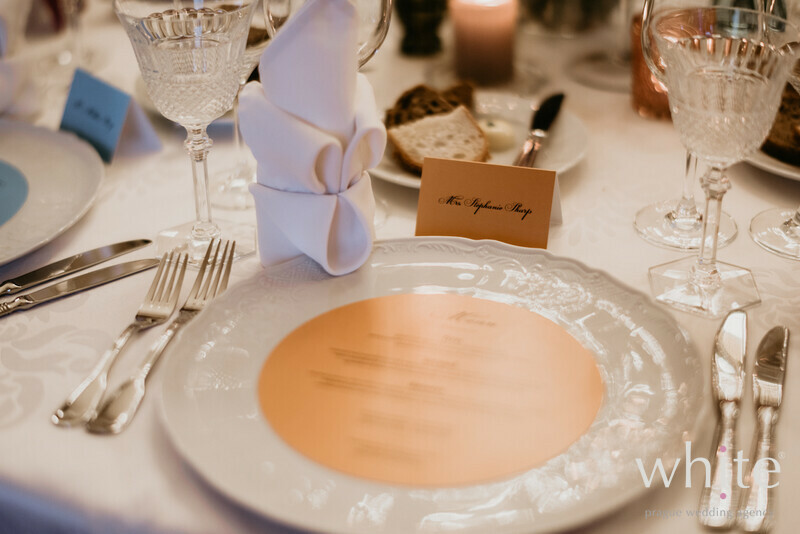 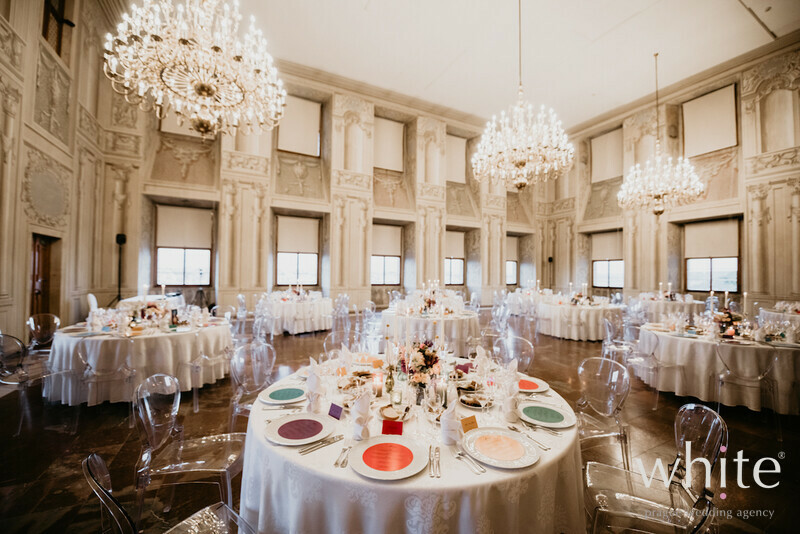 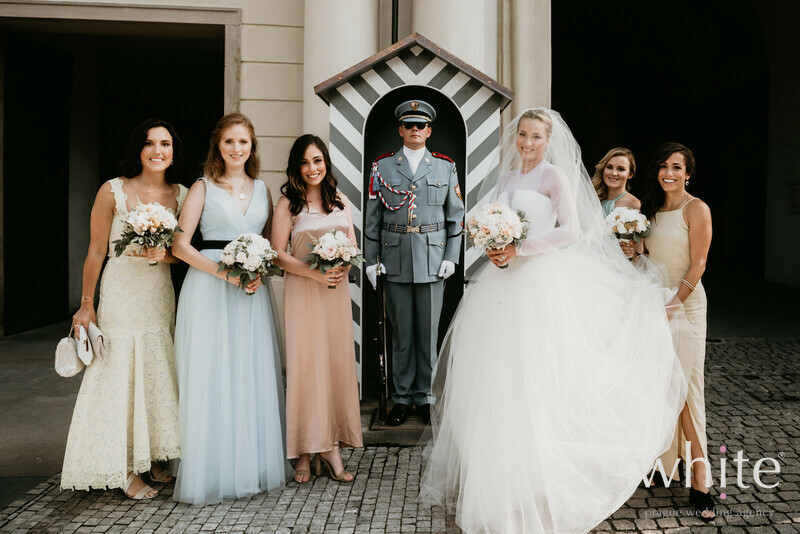 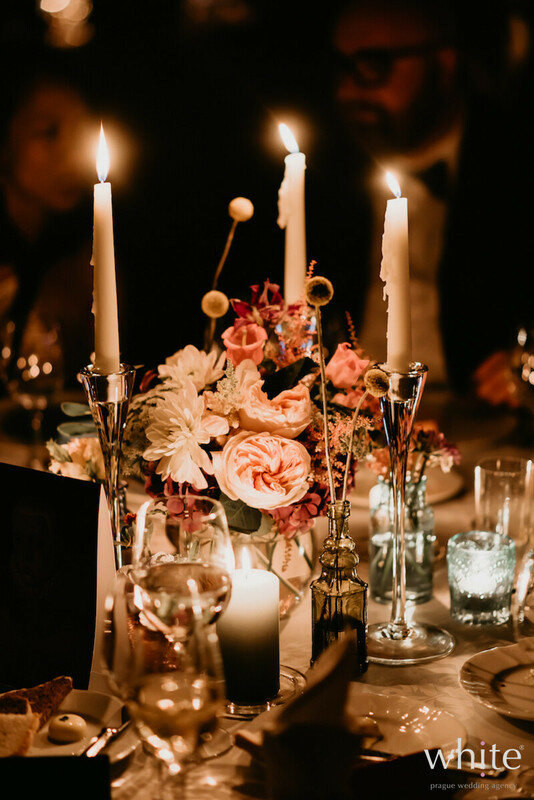 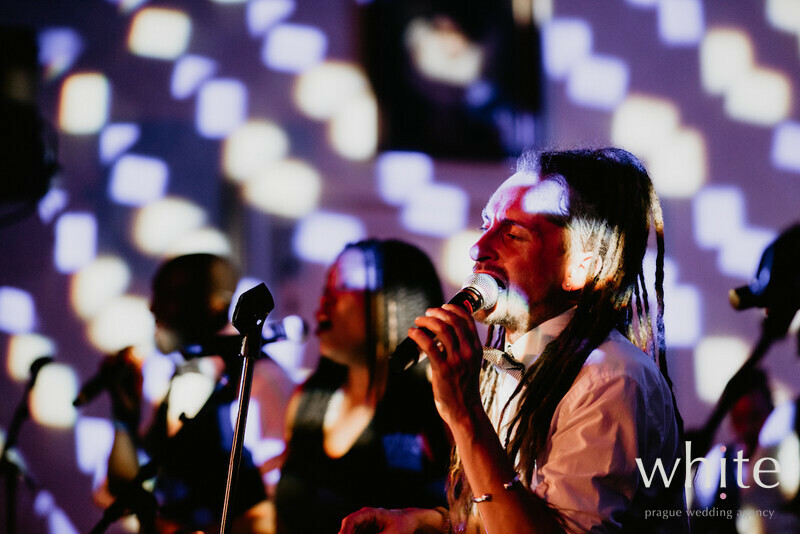 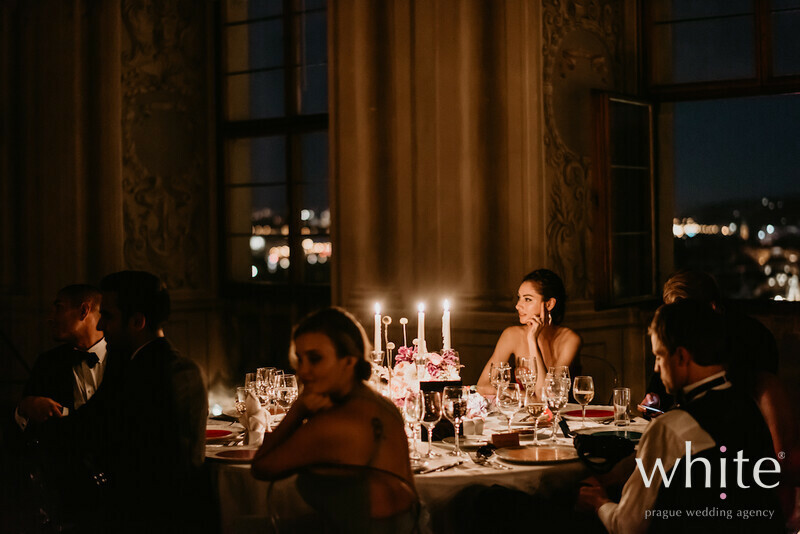 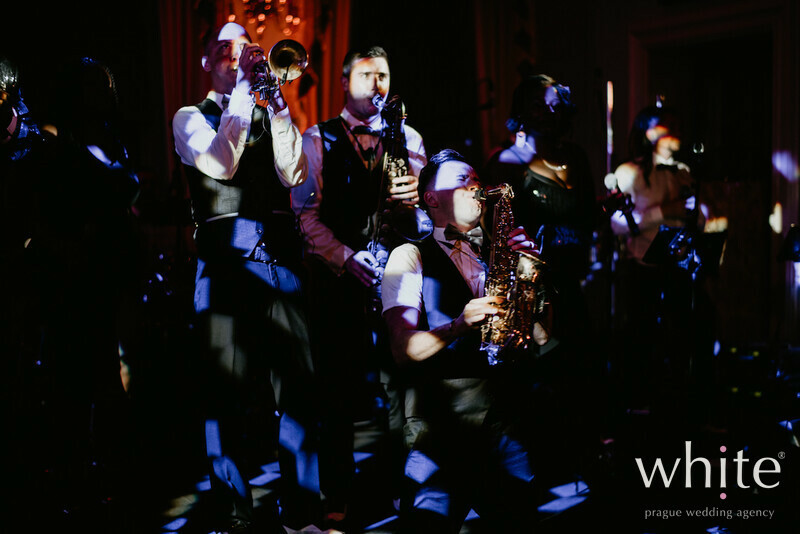 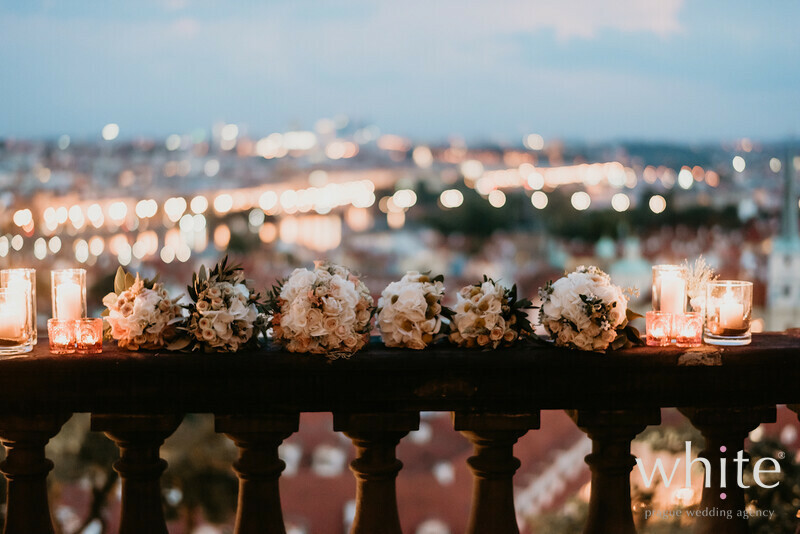 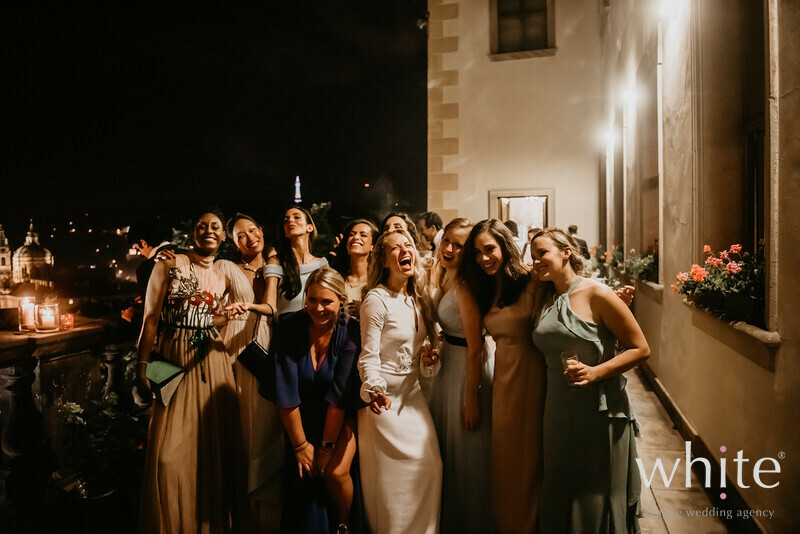 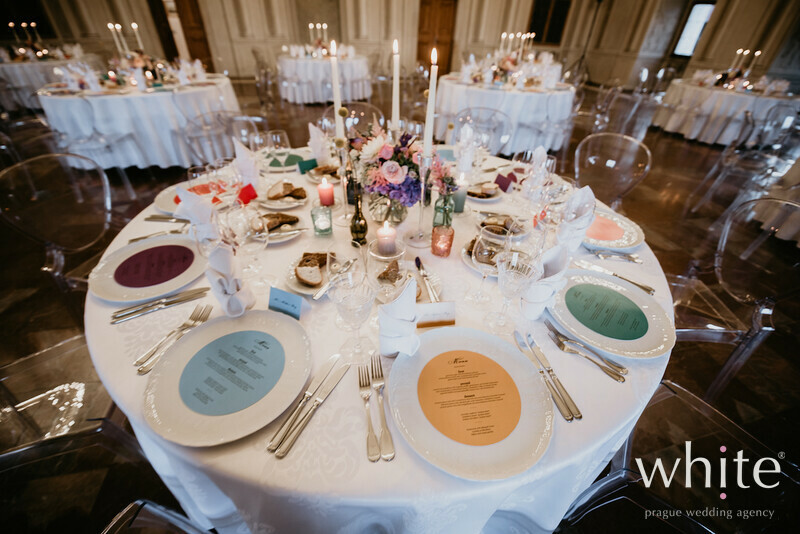 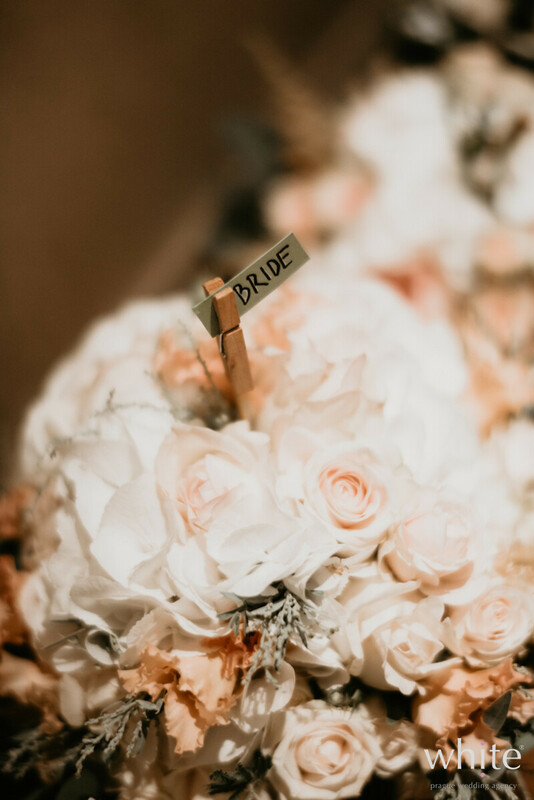 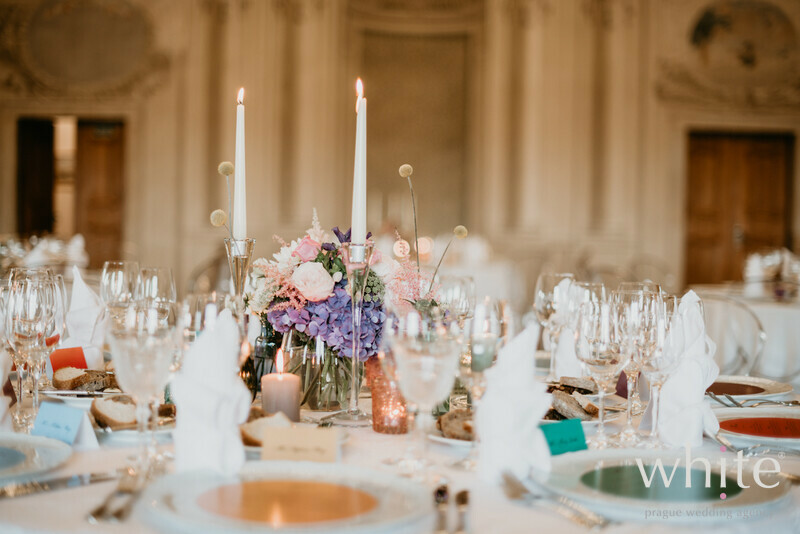 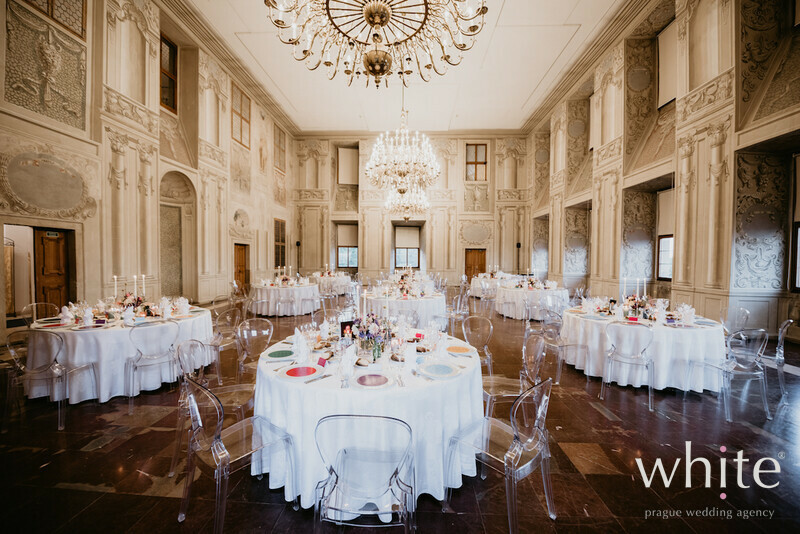 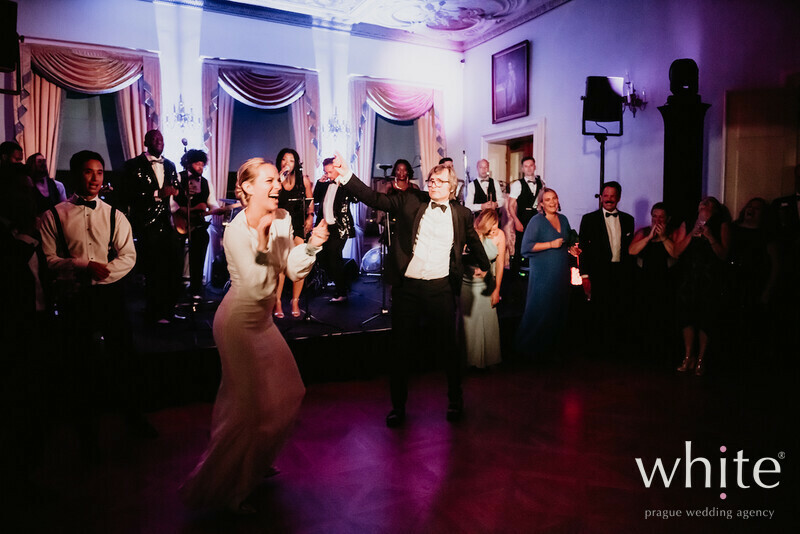 The wedding reception was just glamorous and took place in our favourite Lobkowicz Palace, located only a few minutes stroll from the Cathedral. 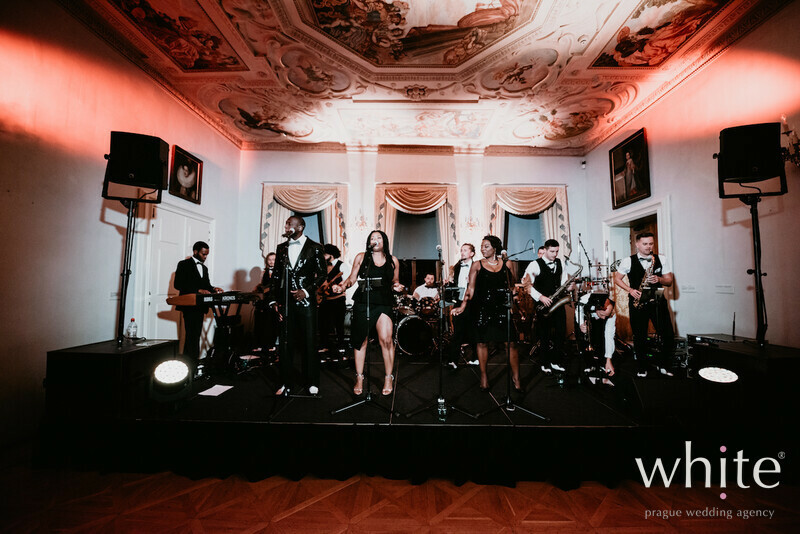 The most amazing band that Stephanie's father Rudy flew in from the UK was the cherry on the cake. 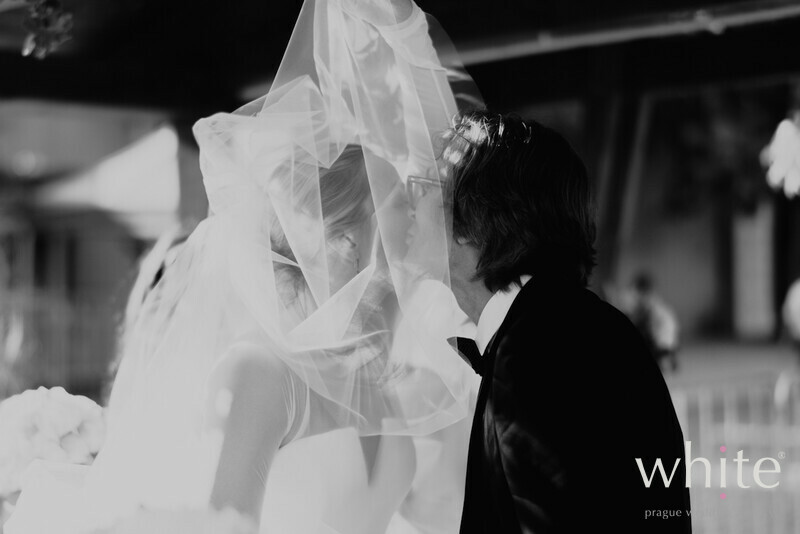 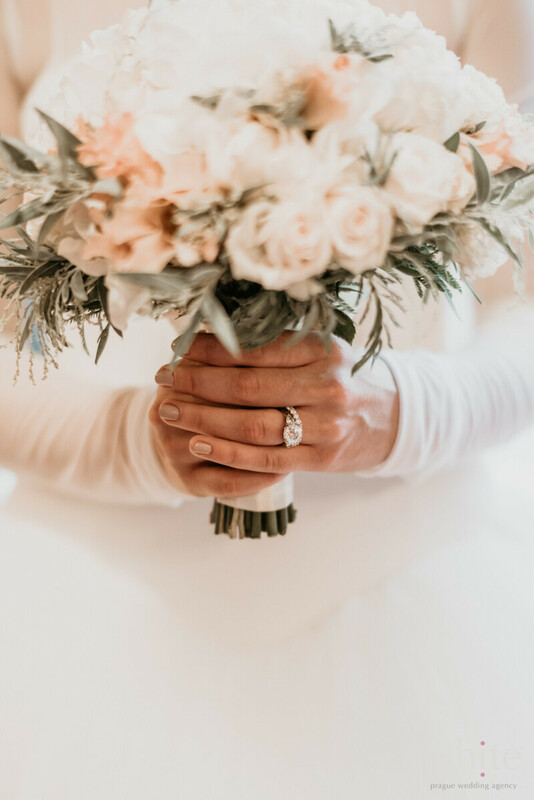 Thank you for the opportunity to organize your wedding Stephanie & Matthew!